Wolfgang Klippel studied Electrical Engineering at the University of Technology of Dresden. After graduating in speech recognition, Wolfgang Klippel joined a loudspeaker company in the eastern part of Germany. He was engaged in the research of transducer modelling, acoustic measurement and psychoacoustics. In 1987, he received a PhD in technical acoustics. 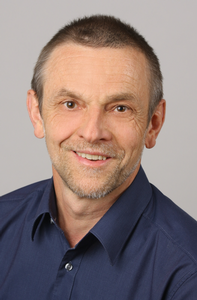 After having spent a post-doctoral year at the Audio Research Group in Waterloo, Canada and working at Harman International, Northridge, CA he went back to Dresden in 1997 and founded the Klippel GmbH which develops novel kinds of control and measurements systems dedicated to loudspeakers and other transducers. Wolfgang Klippel received the AES Publication Award for the outstanding paper published in the Journal of the Audio Engineering Society in 1992 and the AES Fellowship in 1997. In 2007 he became a professor for Electro-Acoustics at the University of Technology in Dresden.